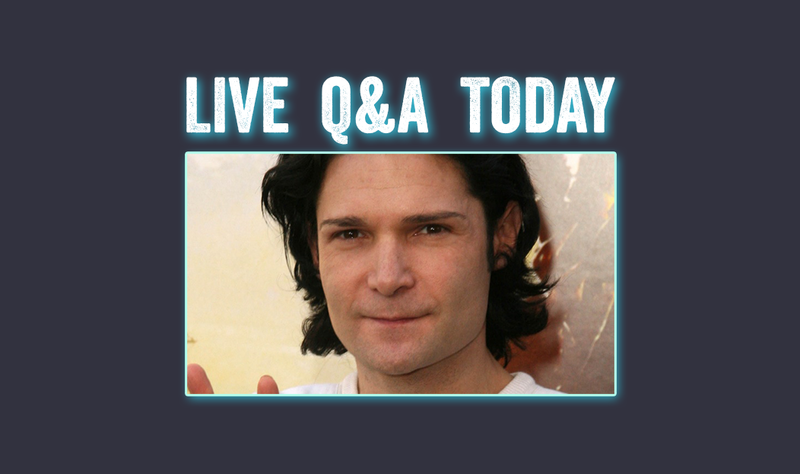 Corey Feldman To Hold Live Question And Answer Event Today! In this video, Luke Rudkowski of WeAreChange gives you the latest breaking news on empathy and the ability to empathize which has been decreasing drastically in the West. We go over scientific studies regarding happiness and delve into the science of empathy. We explore emotional intelligence, especially in this social media day and age. 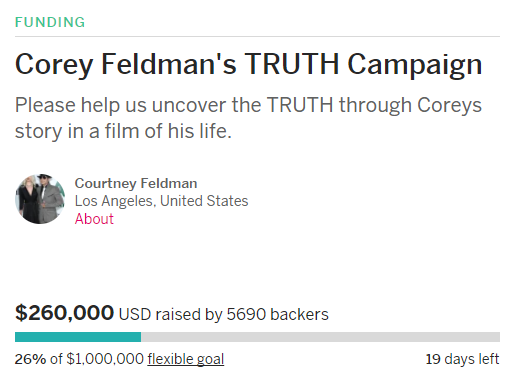 Speaking of empathy, this is a good time to get an update on Corey Feldman’s TRUTH Campaign! 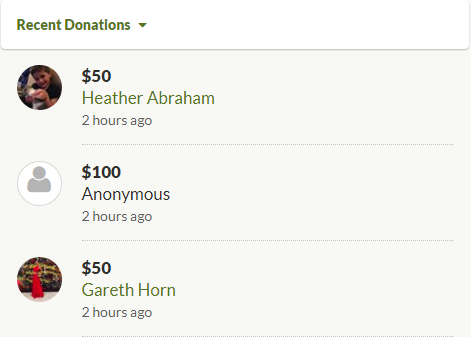 Lets take a look at how the donations for Feldman’s Indiegogo campaign are coming along. Here is how they stood on November 17th 2017, at $242,710. Lets have a quick look-in now too. It is creeping up. Yen Yen from Singapore comments that Hollywood celebrities have millions of dollars and they don’t appear to want to help, monetarily speaking. The Hollywood celebrities have millions of dollars and nobody chipped in. Although some have come forward with words of support, including ‘Stranger Things’ star, Sean Astin. R MANY OF THE REASONS I CONSIDER U A VERY DEAR & TRUE FRIEND! #GOONIESNEVERSAYDIE #PRESERVEINNOCENCE #ISTANDWITHCOREY LOVE U BUDDY! 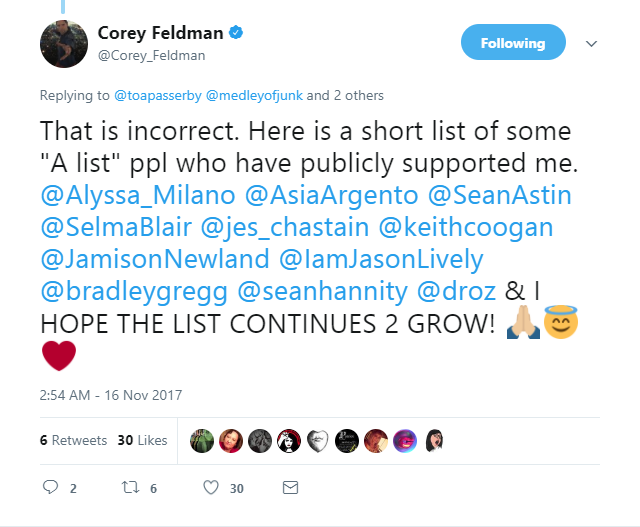 In this tweet on November 16th, 2017 Feldamn gives us a list of “A listers” who’ve publicly voiced support. Feldman also has a GoFundMe. Lets see how that is progressing. It currently stands at $13,720. The site says this campaign is trending. The second reason is to raise the funds needed to provide immediate 24 hour armed security for Corey and his family. Lets also get a progress update on Corey’s Law which you can read about in my article here. The article from November 17th, 2017 showed 448 signatures. 10,893 people have now signed. 89,107 signatures are needed by December 12th, 2017 to get a response from the White House. Feldman’s indiegogo campaign has 19 days left. He tweeted this morning that at this point, the pressure is getting to him. Feldman is holding a live question and answer event in an attempt to ameliorate the situation, tonight at 9pm Pacific Standard Time. That’s 5am for Brits across the pond. Will you be tuning in and what are your expectations? What questions do you want answered?